Starting our day over coffee and toast, we amuse and entertain each other with discussions on worldly topics or by sprouting witty banter over all things mundane. The dog is often stretched out and tangled up among the collection of legs while the cat watches on indifferently. It’s a special time to be together, warm fuzzy feelings and self-appreciation of what we have. 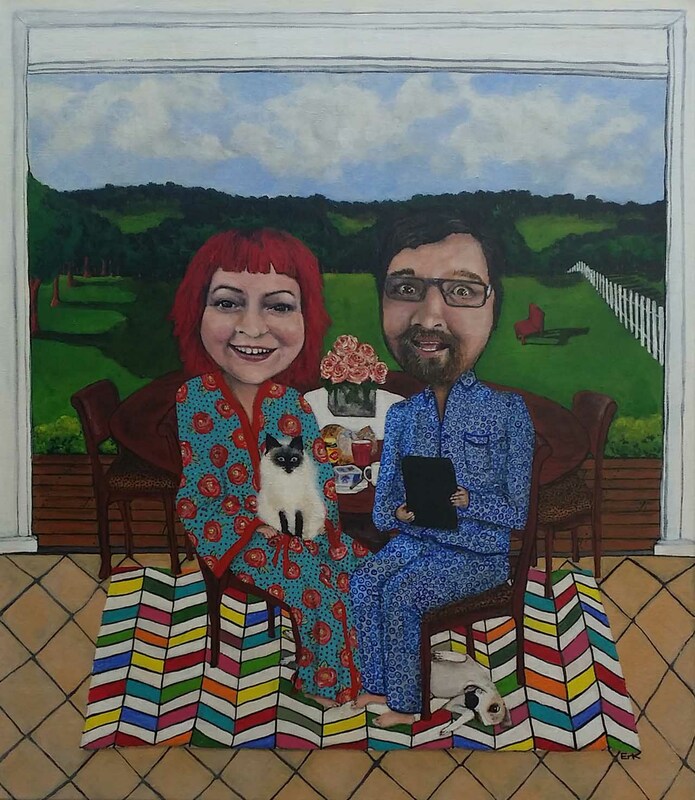 This juxtaposition of imagined and real life is combined in my work to create a portrait showing the personality, environment, my love and my pets all interwoven within a skewed version of my life. Finalist in The 2016 Glencore Percival Portrait Painting Prize. Influenced by Modernism with that American Gothic type aesthetic; within this painting, some areas the paint is applied layer upon layer while other areas are almost ignored. Also combined within the same painting distorted details such as fine boned hands and feet and extra-large eyes set an unusual scene forming contrast to the realistic qualities of the work. What is the essence of the “sitter” within any portrait? For me there is always something outside the given view that influences and moulds that personality - that facially set presentation. 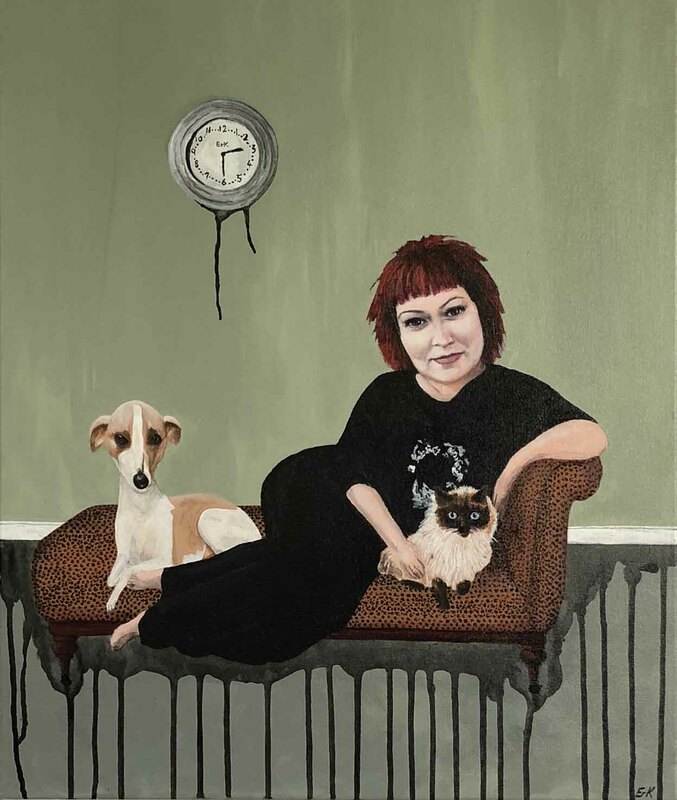 For my part, the juxtaposition of imagined and real life combines in my work to create a portrait showing my personality, my environment and my pets all interwoven as a skewed version of self. Semi-finalist 2013 Doug Moran National Portrait Prize. Erica Gray lives and works on the Gold Coast, QLD. 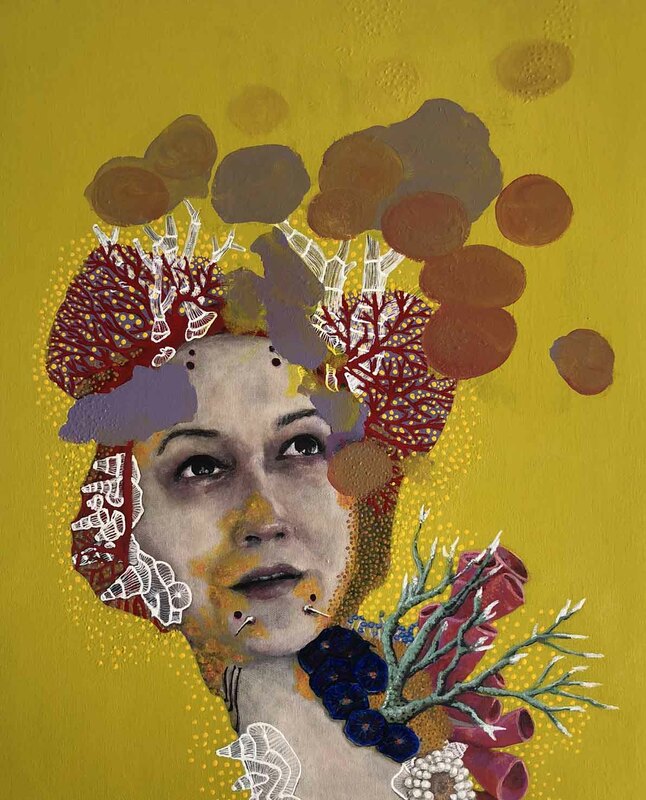 In practice she regularly exhibits work nationally and internationally often switching between media including painting, wearable art and soft sculpture. Solo exhibitions include ‘Rubber Gloves, Sharp Teeth and Other Pointy Bits’ displayed at the Tweed Regional Art Gallery, ‘PIPE DREAMS’ displayed at the Gold Coast City Art Gallery and the Noosa Regional Art Gallery. 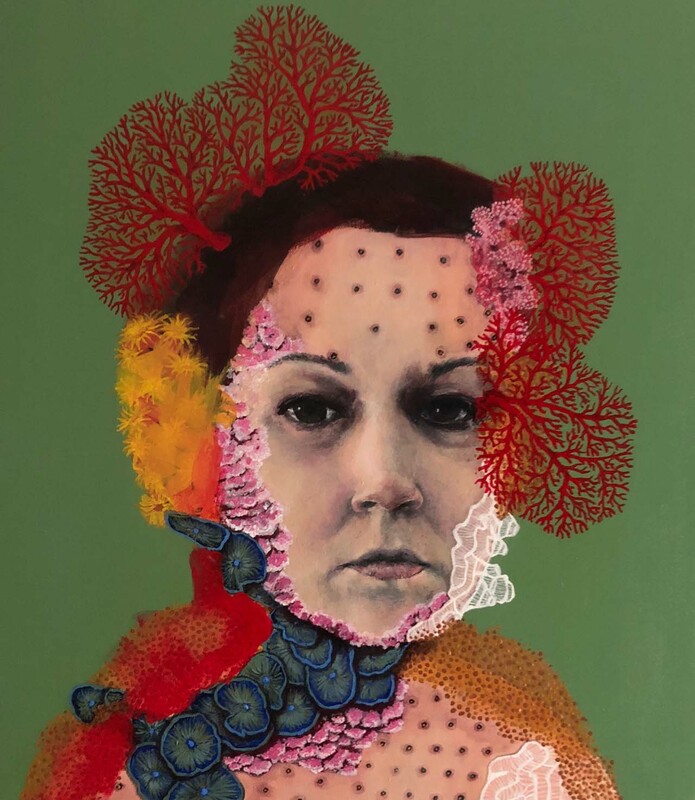 Her work has been a finalist in numerous exhibitions among them, the World of Wearable Art Awards Show, the 2nd Tamworth Textile Triennial, semi-finalist in the Doug Moran National Portrait Prize 2013 and finalist in The Glencore Percival Portrait Painting Prize 2014 & 2016 as well as Finalist in the 2015 Hurford Hardwood Portrait Prize.